Get Covered: Sign up for health insurance! Find the best plan for you and your family. 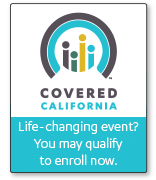 Call (650) 616-2002 for free, confidential health insurance help. Health insurance is available regardless of immigration status, through a combination of Federal, State, and San Mateo County programs. How can I get help ?